/ The Moscow Mule! Reviving a Classic! The Moscow Mule! Reviving a Classic! Summer is coming! I know it is a little hard to believe after a long cold snowy winter in many parts of the country but soon enough we will all be complaining about the heat and humidity. Even those of us who worship the sun and vow not to complain will at some point wither in the heat of our favorite season. 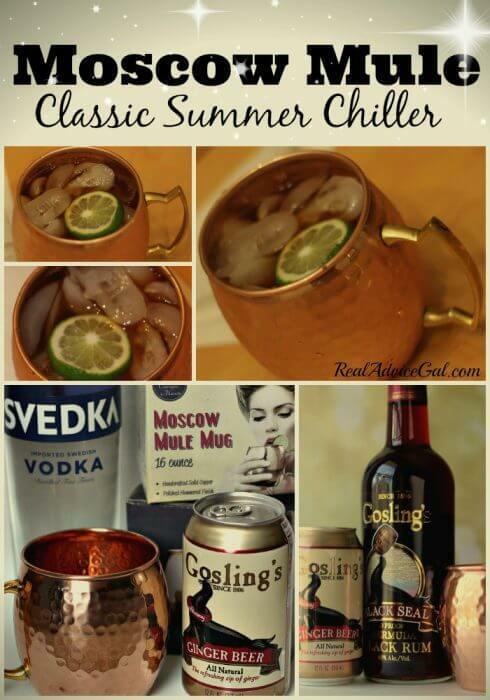 I have found the perfect summer drink to cool you down, a Moscow Mule! I know I had the same question the first time I heard of it. So I did a little research. 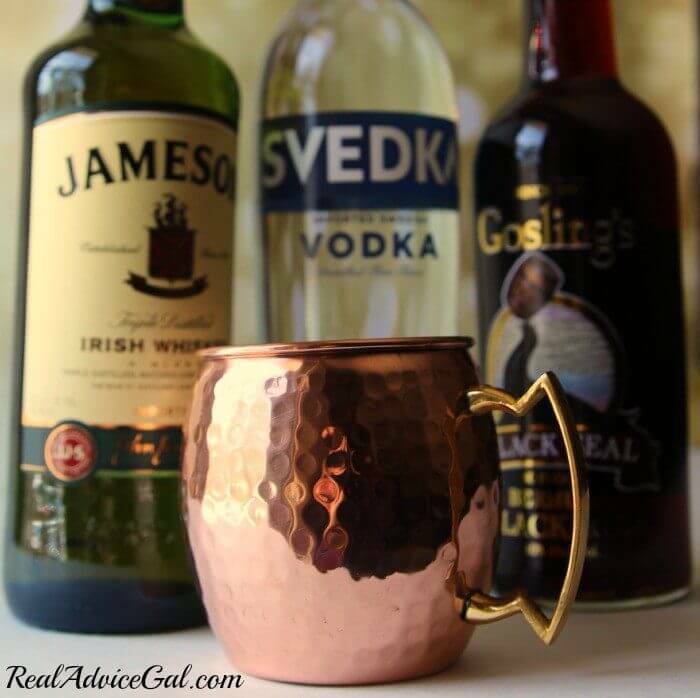 The term mule (or sometimes buck) refers to a family of mixed drinks that use ginger or ginger beer. The Moscow Mule was a popular drink in the 1950’s. The combination an unknown liquor initially unpopular in the US with ginger beer (that itself was not selling too well) in a fancy copper mug became a huge success. The copper mug is the signature serving glass and also keeps the drink very cold making this a perfect cocktail for hot summer evenings! The Moscow Mule was name as such because of a common misconception that vodka is largely imported from Russia. This is not the case but the name stuck. Just try to find Russian vodka at the liquor store, good luck! There are several variations of this popular drink. 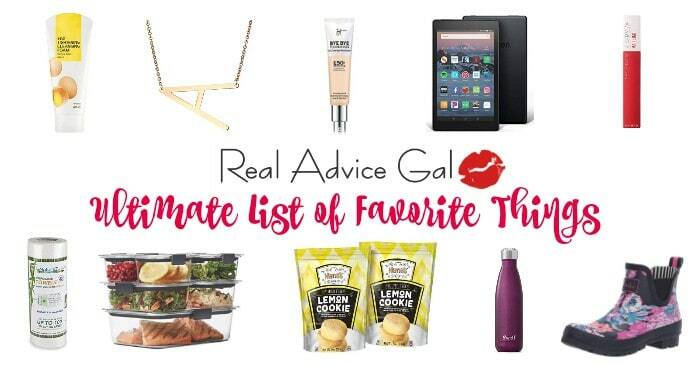 My favorite is the Dark and Stormy. A genuine Dark and Stormy is only made with Goslings Black Rum and Goslings Ginger Beer. In fact Gosling Brothers, LTD has copyrighted the name, Dark and Stormy. Using any kind of rum other than Gosling’s to make a mule is called a Caribbean or Jamaican Mule. You can make an Irish Mule with Irish Whiskey. A Kentucky Mule combines Kentucky bourbon and ginger beer. Many people like to add crushed fruit to the classic Moscow mule made with vodka to make strawberry mules, blueberry mules, and even pomegranate mules. Fill your Moscow mule mug with crushed ice. Pour vodka into mug. Fill mug to the top with ginger beer. Add a squeeze of lime juice and garnish with a slice of lime. Note: You can substitute Irish whiskey, rum, or bourbon for the vodka to make a different variation. I tried three different mule drinks, the classic Moscow Mule, the Dark and Stormy, and an Irish mule. I added a squeeze of lime and served them with plenty of crushed ice in an authentic Moscow mule mug. I have to tell you the combination of crushed ice and the copper mug make this a perfect summer cocktail. The drink stays ice cold! The mugs are very pretty and in my opinion essential if you really want to enjoy this style of beverage.